010- Your teeth could be killing you. In this episode, Healthy Gut Girl and Mark discuss the key importance your teeth play within your journey to good health. The research is out, and it’s not a myth any longer. Poor dental health can be doing more harm than you know. may all be related to ignored or overlooked dental issues. An episode that may save your life. Please write us a positive review at iTunes if you could, and visit us at www.healthygutgirl.com, for more information. 95 – Coffee, Poop and a Spiritual Practice. 93 – A cook-book customized to your personal needs?! 92 – The Root Cause, what is it? 91 – Joe is back from India. Did he bring us parasites? 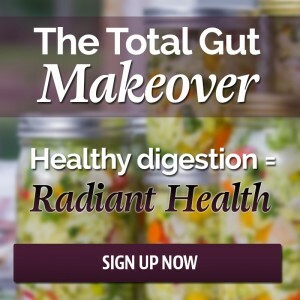 Author of The Body Ecology Diet Donna Gates and Healthy Gut Girl Catalina Martone joined forces to create this incredible fermentation course. Join Healthy Gut Girl as she guides you through the history, science and benefits of fermented foods. Enjoy delicious recipes too! Learn to Ferment The Body Ecology Way. 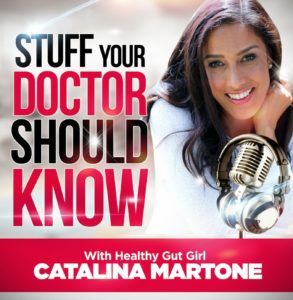 Catalina Martone is a certified Holistic Health Practitioner, a certified Nutritional Counselor and certified Master Herbalist. Serving adults, children, infants and the special needs community. Offering full QRA nutritional testing, detox programs and urban retreats for education and application to help you implement good habits!